EU Law Analysis: Simplifying applications for Schengen visas for third-country national family members of EU citizens: do the new proposals go far enough? Simplifying applications for Schengen visas for third-country national family members of EU citizens: do the new proposals go far enough? For many EU citizens whose family members are third-country nationals, particularly if those family members are citizens of an Asian, African or Caribbean country, free movement isn’t as free as it is for others. Unless they are travelling between Schengen countries (as explained below), those EU citizens who wish to visit another Member State with their third-country national family members may have to obtain a visa for their family members first, which can complicate their travel significantly. This situation would be ameliorated somewhat, if the two proposals regarding visas issued today by the Commission are adopted. One of these proposals would amend the existing rules relating to ‘Schengen visas’, which allow for travel to all Schengen states for a period of three months (ie the EU’s ‘visa code’). The second proposal would create a new ‘touring visa’ for travel for up to one year to Schengen countries. While the proposals have of course not yet been adopted, and may be amended (or not adopted at all) as they go through the EU’s legislative process, they are significant enough to merit some analysis at this early stage. In fact, these proposals are complex and important enough to merit four separate posts. This first post examines the proposed new rules for third-country national family members of EU citizens. The other three will examine: the visa code proposal; the touring visa proposal; and the important issue which isn’t addressed in these proposals: a protection visa for those fleeing persecution or serious harm. First of all, it’s necessary to reiterate which countries are covered by EU free movement law, on the one hand, and Schengen on the other. The free movement rules, as set out in Directive 2004/38 (the ‘citizens’ Directive’) apply to all Member States, in the context of the citizenship of the EU. They also apply to Norway, Iceland and Liechtenstein, since the citizens’ Directive was extended to those countries pursuant to the treaty establishing a European Economic Area (EEA). The EU also has an agreement on free movement of persons with Switzerland, but that treaty does not apply the citizens’ Directive as such to Switzerland. The Schengen rules, which abolish internal border checks between the signatories and introduce common rules on external border control and short-term visas, currently apply to 22 Member States, along with Norway, Iceland, Liechtenstein and Switzerland (the ‘Schengen associates’). The Member States not applying the Schengen rules fall into two categories. On the one hand, the UK and Ireland do not apply Schengen at all (except for a number of flanking rules relating to police cooperation). On the other hand, Romania, Bulgaria, Cyprus and Croatia are obliged to apply all Schengen rules in principle, and do apply some of them (such as the external border rules and the common list of States whose nationals do or don’t need a visa), but do not yet apply all of them. More precisely, the Schengen rules on abolition of internal border controls, including the rules on Schengen visas, will not apply until the other Schengen States unanimously agree that Schengen should be extended to each of these countries. It should be noted that the UK and Ireland won’t have any vote on the Commission’s new proposals, while the other four States not yet applying the Schengen rules will (given that they will have to apply those rules eventually). For simplicity’s sake, I’ll refer to the latter group of four States as ‘Romania, et al’, and to all six States not currently applying Schengen as ‘non-Schengen States’. The cross-over between these two regimes is particularly important as regards third-country national (ie, non-EU) family members of EU citizens. They have the right to move and reside freely with their EU citizen family members in other Member States. As regards short-term visa requirements, though, it matters a great deal whether they are living and travelling within the Schengen states or not. Within the Schengen area, they do not need a visa to travel, even if they are not travelling with the EU citizen whom they are related to, because Schengen rules allow any third-country nationals with a residence permit or long-stay visa to travel between Member States. However, if they are travelling from Schengen States to non-Schengen states, or vice versa, or between non-Schengen States, they are subject to rules on visas and border controls. There are, of course, special rules as regards travel between the UK and Ireland, known as the Common Travel Area, but there’s no need to consider those rules here. Also, since the Commission’s new proposals only relate to Schengen visas, there’s no need to consider here the issues relating to border controls. If the third-country national family members of EU citizens seek to enter the UK and Ireland, they are subject to national law, along with the citizens’ Directive. If they seek to enter the Schengen area, they are subject to both the Schengen rules and the citizens’ Directive. If they seek to enter Romania et al, they are subject to national law, subject to the citizens’ Directive and certain aspects of the Schengen rules (the common rules on border controls and visa lists – but not the Schengen visa rules). All Member States are subject to the citizens’ Directive, so it’s important to examine its provisions first. First of all, in principle third-country national family members of EU citizens have the right to enter the territory with their EU citizen family member (Article 5(1)). They might, however, need a visa (Article 5(2)). Whether they need one or not is determined by national law (as regards the UK and Ireland) or by the EU visa list (as regards the other Member States, including Romania et al). So if a British citizen wishes to visit the Schengen area with her American husband, the husband will not need a visa, because the USA is on the Schengen ‘whitelist’ of states whose nationals don’t need visas. But conversely, if an Irish citizen wishes to visit the Schengen area with his Indian wife, she will need one. Next, Member States must also exempt from the visa requirement those third-country national family members of EU citizens who hold a special ‘residence card’ issued by another Member State. The exact interpretation of this rule is at issue in the pending McCarthy case, which the CJEU recently heard. However, the issue affected by today’s proposals is not whether a visa is necessary or not in the first place, but the process which applies in the event that it is. On that point, the citizens’ Directive also states that the family members concerned must have ‘every facility’ to obtain such visas, which shall be ‘free of charge’ and issued on the basis of an ‘accelerated procedure’. There is no further explanation of these concepts in the Directive, but the Commission has now sought to clarify them in the proposal to amend to visa code – to which we now turn. As a general point, the Commission suggests an important clarification of the rules, to specify throughout that the ‘family members’ of EU citizens covered by the visa code are all family members referred to in Article 3 of the citizens’ Directive. This would confirm that these rules would apply not only to the ‘core’ family members (essentially spouses, formal partners, children and parents) referred to in Article 3(1), but also to extended family members referred to in Article 3(2). This clarifies a point which is ambiguous in the citizens’ Directive: whether the rules on visas (and, in fact, most of the other rules in the Directive) apply to extended family members as well as core family members. True, there is no absolute obligation to admit extended family members, but that does not necessarily mean that they cannot benefit from the rules in the Directive (such as access to employment) if they are admitted, in the same way as core family members. Indeed, in the Commentary on the EU Citizenship Directive, my co-authors and I have argued in detail that they do. At least as regards visas for admission into the Schengen area, this point would be clear. Substantively, the first rule in the proposal regarding third-country national family members of EU citizens is that they cannot be subject to the requirement to hold a transit visa (Article 3(8); all Article numbers refer to the proposal, not the current version of the visa code). Actually, this provision isn’t new, as it already appears in the current visa code. The second rule in the proposal is new: it concerns appointments at consulates. Third-country national family members of EU citizens would not need a prior appointment, or could get an immediate appointment (Article 8(4)). Next, there is a simplified rule for the presentation of documents relating to third-country national family members of EU citizens (Article 13(3)). The proposal would also expressly waive the visa application fee for such persons (Article 14(3)), although this simply repeats the wording of the citizens’ Directive. Finally, there are faster deadlines (5 days, with a 10-day maximum) to decide upon the applications of such persons. However, it should be noted that not all rules are waived or relaxed. Third-country national family members of EU citizens will not be exempt from the fingerprinting requirement, or from having their names and personal data entered into the EU’s Visa Information System. The Commission does not suggest that they should be entitled to a multiple-entry visa as such (Article 21), although that would go a long way toward simplifying their travel to other Member States, which is the essence of free movement. It is arguable that being a family member of an EU citizen would help to satisfy the criteria for obtaining a multiple-entry visa, but it would have been better to provide for this automatically, in all cases, subject to the condition that the person concerned is accompanying an EU citizen. Even more problematically, the proposal does not expressly exempt the third-country national family members of EU citizens from the substantive rules on the criteria for issuing a visa (Article 19). This is surprising given that the Commission’s own report on the application of that Directive stated that some Member States were wrongly applying the general rules in the visa code to visa applications by third-country national family members of EU citizens. While of course the rules in the citizens’ Directive take precedence, it would be better to refer to them expressly to ensure correct application, just as the proposal expressly includes that Directive’s rules on visa application fee exemptions. Nor is there any express rule allowing for the issue of a visa at the border (Article 32) – even though this directly contradicts the judgment of the CJEU in the MRAX case. The separate proposal on ‘touring visas’ contains no express rules for third-country national family members of EU citizens, other than the general reference to the priority of the free movement rules (Article 1). From one point of view, this is sufficient, since those third-country national family members of EU citizens who wish to visit a series of other Member States (whether those States are Schengen States are not) are entitled to do so if they are accompanying or joining their EU citizen family member, and indeed to do so indefinitely (not for a one-year maximum), as long as they meet the liberal conditions of the citizens’ Directive. From another point of view, however, it would be useful to clarify, for the sake of legal certainty, that those family members cannot be subject to work permit requirements as referred to in the proposal, given that Article 23 of the citizens’ Directive gives the third-country national family members of EU citizens the right to work in any Member State in which they are accompanying or joining their family member. First of all, there might be an argument over the ‘legal base’ of these proposals, as regards the inclusion of specific rules on third-country national family members of EU citizens. In the Metock judgment, the CJEU said expressly that the Treaty provisions on EU free movement law constituted the correct legal base for regulating the position of third-country national family members of EU citizens. It might possibly be arguable, however, that the EU competence relating to visas could be used to provide for additional detailed rules on this issue, as long as they do not conflict with the rules adopted on the basis of EU free movement law. Secondly, the inclusion of specific rules on these issues in the visa code risks an a contrario argument being made in the non-Schengen states, to the effect that they are not bound by these rules, since they are not bound by the visa code. But they are certainly bound by the specific obligation to waive visa fees, and by the more general obligation to expedite applications by third-country national family members of EU citizens, since those obligations appear in the citizens’ Directive. Thank you for sharing this blog. I just want to confirm my situation. I have a residence card for family member of an EU citizen issued by Poland. I want to travel to Greece, Denmark and Netherlands for a Holiday but my Dutch husband will not be able to come with me because of work. Since I will be traveling alone, do I need to get a visa? I know you explained everything here and as for my understanding I will be able travel alone using only my residence card, but the thing is I am reading a lot of article saying i would need to have a visa if not traveling with my husband. Since when is this update? Thanks and I hope you will have a time answering my question. More Power! Since you would be travelling between Schengen States, your residence card should be enough, along with a travel document (usually a passport) and documents showing the reason for the visit and why you have (or can get) enough money for the period of intended stay and the return. You would need a visa (depending on your nationality) for travel to Cyprus, Romania, Bulgaria, Croatia, UK and Ireland. The source of this rule is Article 21 of the Schengen Convention, assuming that the EU citizens' family member residence card is equal to a residence permit, as the European Commission has always said. I don't think EU free movement law applies to Gibraltar, so this issue would be subject only to the immigration law applicable there. I was recently denied a Visa at The Embassy of Belgium in Nigeria. All reasons contrary to the said rights derived from my Wife,an EU citizen. I'm currently planning to Appeal. My question is,what references should I include in my Appeal,to hopefully get them reconsider. My Name is Stan from Nigeria,i married a Romania woman, now we want to go to germany together,do i still need a visa to go together with her or not. somebdy help pls,,. To answer Anonymous' question, the arguments would have to be based on the EU's citizens' Directive - see the link in the blog post. That Directive lists the criteria which a family member has to satisfy in order to obtain a visa, so base your appeal on those criteria. To answer Stanley's question, Nigeria is on the EU's visa list so in principle all Nigerian family members of EU citizens need a visa to visit another EU country. For the criteria to get a visa, see my first answer. It's simpler than that within the Schengen area, but Romania is not a Schengen country yet. It is also simpler if you have a 'residence card' to prove that you are a family member of an EU citizen who has moved to another Member State, but you wouldn't have that yet if (if I assume correctly) you are living in your wife's home State, Romania. I am sorry, to make it correctly,i have 5yrs member card of Romania because of marriage and we are living together, my wife and family,now me and her want to go to Germany together to visit a friend. (when the immigration of romania gave to me this card 2yrs ago,they said that i should go together with my wife to other EU countries which i did,but now i want to know if is still the same or the law have change) is the same person Stan,help me pls. If you are married to a Romanian woman in Romania, what you have is not a 'residence card' which would exempt you from the visa requirement to visit other EU countries. You can only get a residence card as the family member of an EU citizen who has moved to another Member State. Having said that, the proof that you are married to a Romanian citizen should simplify the process of getting a Schengen visa to visit Germany, if you are travelling with your wife, particularly because you will only have to show the basic details of your family relationship etc, as set out in the citizens' Directive, There should also be no charge for getting the visa. I am a UK citizen. My Kenyan wife has a UK DLR visa. We have experienced routine problems in acquiring Schengen visas for her to travel to various EU countries with me. In one case (Spain) her first application was refused on grounds expressly excluded in the Schengen rules, and a subsequent appointment was cancelled by email with no reason being given. In another (France), her application was not allowed because the return envelope was 30p short of the £7.50 postage demanded (not specified in the Schengen rules). In several other cases (Italy, Switzerland and Germany) information specifically excluded under the rules was demanded (proof of travel, proof of accommodation, letter of invitation). A formal complaint to the Commission in respect of the Spanish Consulate in Edinburgh has not been answered, although the complaint was accepted as legitimate. The complaint against Italy was accepted, but no action was taken. A complaint against Greece - on the grounds that as postal applications are not accepted and the Embassy's visa issuing office is open only for 2 hours each week, thus requiring applicants to travel to London and pay for overnight accommodation, this scarcely meets the 'facilitation' requirement - was rejected. The same problem applies to various other EU countries which offer only applications in person in London (we live in Scotland). It appears that the new Commission proposals - especially the idea of offering third-country nationals a 'touring visa' (a suggestion I have made in correspondence with the Commission) - would be considerable improvement. As things stand, my wife feels that she is being discriminated against. She certainly does not enjoy the equivalent right to freedom of travel which is a supposed core principle of the Schengen rules. I had begun to compile a database of Schengen visa requirements for all the EU countries. Do you have any idea when the Commission will publish its proposals - and how long it would be before they come into effect? We are especially keen to visit Spain, where my daughter lives. After her experience with the consulate in August 2013, my wife is convinced that a new application would also be rejected. Thanks for your comments, Paul. It sounds like an unfortunately common case of the rules being badly applied in practice, and the Commission doing nothing effective to address it. The touring visa proposals were made earlier this year, at the same time as the Schengen visa proposals. It seems that discussion in the Council is slow. The earliest the new rules would be in force would be sometime next year. Hi Steve, thanks. It seems our best option may be to decide early where we want to go, apply for a visa and, if rejected, refer the case to SOLVIT. It seems they need lots of time to process a case. They weren't able to help us in the past because there was too little time between our request to them and our planned departure date. On the other hand, because SOLVIT is also an official EU service, their independence is perhaps questionable. Choosing a more helpful country like Germany or Switzerland (both of which still demand a letter of invitation) and travelling by car has allowed us to avoid some of the problems. On a different topic, how was it possible for the Commission to act as godfather to the TTIP negotiations when it was known in advance that the negotiations flouted the supposed rules of transparency and accountability. Why was the Ombudsman's office so slow to take the Commission to task on this? Doesn't the Ombud have any real teeth? A cynic might say that the Ombud only woke up after the massive public protests erupted and the ECI was launched. What real chances do you think there are for recovering democracy at the EU level? At the moment it seems to be stitched up and tied to US policy. I expect that the Commission didn't believe that the negotiations did violate the rules of transparency and accountability, because the EU Courts have always said that international negotiation details can be kept secret. Hi Steve, I read through this link and your advice and I suppose you could proffer a solution to my question. I am a Nigerian but married to a Portuguese and both of us reside in Germany. I have the EU residence card. My question is this, I have a son in Nigeria(about 1yr and 3months) which I want him to visit me here in Germany accompanied by his mother in Nigeria. I have got the invitation letter for both of them. How possible is it for them to get a visa for the visit? I hope my son should not be denied a visa to visit me, since according to what you explained, he is automatically a family member of EU since the father holds the EU residence card. I can't advise on individual cases. The child (or step-child) of an EU citizen is entitled to live with that EU citizen if he or she has moved to another Member State. But that is implicitly subject to family law constraints. It's an arguable point whether the other parent of such a child is entitled to visit in order to facilitate the child's free movement rights. Hello Mr Peers, I was wondering if you could advise me a bit, if you wouldn't mind. I'm an EU national, married to an Asian lady and recently had her teenage daughter make a visa request to come join us. The visa issued by this embassy is a Schengen C and they only really asked her for proof of familial ties--all good there. But what's causing me anxiety is that when she arrives, the border guards will only see a visa for tourism and may likely start asking for things such as hotel confirmations, onward tickets, bank statements etc. She is not a very assertive young lady but rather timid and I don't want her to end up in an argument with border guards who barely speak English about her rights to join her family here. Would carrying copies of the same documents she used to get her visa by proving familial ties with me, be sufficient to avoid this hassle? I can't advise on individual cases. None of these blog posts offer legal advice. Having said that my understanding from those who have been in similar situations is that it helps to have as many documents as possible, so that they can be produced if requested. I understand that some people carry copies of the EU citizens' Directive with the relevant bits circled, etc. Again, I can't advise on individual cases. But for long-term movement to a country have a look at what is required in the EU citizens' Directive for the admission of non-EU family members (Google 'Directive 2004/38' if you don't know this Directive already). Also search online for information about what the Irish government expects you to do, to make sure you comply fully with the national rules in that country implementing the Directive. Ireland is not part of Schengen, so your family won't need a Schengen visa unless they are transiting through a Schengen country. Please I need your help to know more about my residence card. I am a Nigerian and I am married with a Portuguese woman. We intended going to the Uk to watch the Chelsea Tottenham capital one final match at wenbley. But my question is do I need a visa to go there with my wife? I am tempted to say that I won't help Spurs fans! But the simple answer is that people in your situation don't need a visa to visit the UK if (a) your EU spouse is living in another Member State than Portugal; (b) you have a residence card issued by the host Member State; and (c) you have a family permit from the UK consulate. The latter requirement is illegal but the UK still imposes it in practice. great article....could you clarify for me...I am a UK citizen living in the USA with a permanent resident's card married to a US citizen. Is my wife restricted to the 90/180 day rule ? Does she need an additional visa ? The US French embassy said she needed a "carte de sejour" but we don't plan to live in France. We have a vacation home in France and may want to spend more than 90 / 180 days there in the future. I can't give advice on individual cases. But someone in your wife's position should not need a visa for stays of 90 days in France. There is a proposal for a touring visa that might change things or France might have a bilateral deal with the USA. I can't comment on individual cases. But someone in the same situation would need a visa to enter Greece. Hi, I am a romanian and I wonder if I will marry my fiance in Morocco, the country he lives in, will he be able to travel with me in Spain or another schengen country without a visa? Also, he applied for a schengen visa for tourist and got refused and to aply for romanian visa he needs an invitation from the immigration inspectorate that is difficult to obtain becouse I am also in Morocco now and it takes 2 months to obtain, so it is impossible for us to come to Romania and get married. We want to get married at the consulate of Romania in Morocco and after come to visit Romania but we would like to have a vacation in Spain. What can we do? I can't answer on individual cases. But for someone in your situation, merely getting married won't exempt your spouse from a Schengen visa requirement, since (a) you would not have moved to another Member State and so (b) your spouse would not have the residence card referred to in the citizens' Directive (which is a condition for visa exemption). However, it will simplify the rules which apply for future Schengen visa applications for your spouse, since they will have to be facilitated according to the rules in the citizens' Directive, including a fee waiver and less restrictive conditions for considering the visa application. Hi, Can an EU/Australian passport holder with a Greek residence permit obtain a Schengen or Greek Visa for more than 90 days for his spouse? I have been informed that a wife cannot be stopped from accompanying a husband if he stays in the EU for longer than the 90 days. This appears to be correct, because when exiting an EU country and being challenged, the producing of an original marriage certificate has allowed exit. This blog post is only about short term visas, but indeed a non-EU spouse can move with an EU citizen to another Member State for longer periods under EU free movement law, providing that the conditions in the law are satisfied. Hello and thanks for the interesting read. I have a question - I am an Indian national, residing in Romania with a Family Member of EU status for 5 years. I intend to travel to few schengen states on business and would appreciate any information on how I should go about applying for a Business visa, if thats a requirement? I will be travelling alone and have a sales and marketing job in ROmania. Appreciate your response in advance. 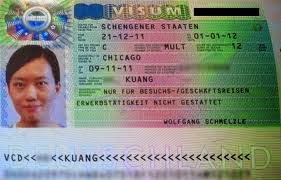 If you are travelling to the Schengen area by yourself, the ordinary rules on getting a Schengen visa would apply, although in practice it ought to be relevant as regards applying the criteria for obtaining one that an applicant has a secure immigration status as the family member of an EU citizen. I am a British citizen by naturalization. I applied for a tourist visa for my two children under 18 for Easter holiday to Paris. The issues is l was charged visa fees and handling charges French consulate in Lagos Nigeria, l email the consulate quoting the EU directives beside it is over 20 days since the Application has been submitted with no response. I contacted the visa section , l was told the exemption and quick visa process only applies to spouse of EU. Please what are my right regarding this and if possible how do l correct this with the consulate that never respond to any mail ? The rules on visas apply not just to spouses but also [other] family members, according to Article 5(2) of the Directive. Article 2(2) defines a family member as including children of the EU citizen who are under 21. The EU visa code says that there must be an appeal procedure in place if a Schengen visa application is refused etc, and the citizens' Directive also gives general rights to a remedy. Perhaps you could try a non-judicial route like complaining to the Commission or an ombudsman in France. But you will probably run out of time with that process from the point of view of getting the visa in time for the visit. what about the new policy of 2015 ? please share with us thanks for information . you have great blog . Thanks for your comment. There's no new policy of 2015 yet, since discussions on the proposed visa code are going very slowly. Hi! I am Filipino citizen living here in Germany with my German husband and with our two kids,I have already residence permit.We want to have short visit in UK me as a third country national do I need a visa to enter Uk?thanks in advance for your help. Hi, I can't give advice on individual situations. But a non-EU citizen married to an EU citizen living in his *own* Member State would not have a right to a residence card under the EU citizens' Directive, because only non-EU citizens who are family members of EU citizens living in another Member State can get those cards. And for visits to the UK, only the residence card would exempt that person from any visa requirement. There is a standard application form for all Schengen states. I can't comment on individual cases. In theory, since the UK implemented the McCarthy ruling on April 6th, that's all you should need. But maybe check with the airline first and also take evidence of marriage, residence etc just in case. Best to get legal advice in Norway to make sure you are following the right route. These proposals aren't law yet. It looks like it would be summer 2016 at the earliest before they are, and perhaps later than that. Hi I'm from Philippines and my husband is a Danish national living in Spain. He wants to bring me and our son in Spain.. Do I need a visa to travel to Spain and if needed what are the requirements? Thanks. The proposals aren't law yet. As things stand you would need a Schengen visa to visit for a short period and would have to apply under EU free movement law for longer-term residence. Hi can you tell me what happened with you ? I am married to danish woman and want to know what did you do ? Is there any news in 2016 for the 1 year valid tour visa for accompanying direct family members? I am applying this for my dependent mother but her visa expires every 3 months. The discussions on both laws are still ongoing. I think they might be wrapped up by the end of the year and apply early next year, but that's just an estimate at this point. If you are British and you both live in the UK then free movement law doesn't apply - your partner would not be eligible for an EU residence card which gives a visa exemption. I am Filipina married to a Dutch Citizen and have 4yr. old daughter. Since my husband and my daughter are currently living in Netherlands I myself remain living in the Philippines because of the visa requiement that my husband provide a year contract before the procedure. But nowadays it is so hard to find the only available is contractual basis . But anyway, we decided that my husband move to Belgium for me to be able to get me here through the EEA FAMILY PERMIT. But my questions are, since I am holding Philippine Passport do I need to apply for a Schengen Visa and let the Belgium Embassy knows about the EEA? Since my husband don't have job yet he cannot sponsor me in that case. The only document we have are our Passports and Marriage Certificate registered in Netherlands. Would that be enough for proofs? Your response is highly appreciated! Thank you!